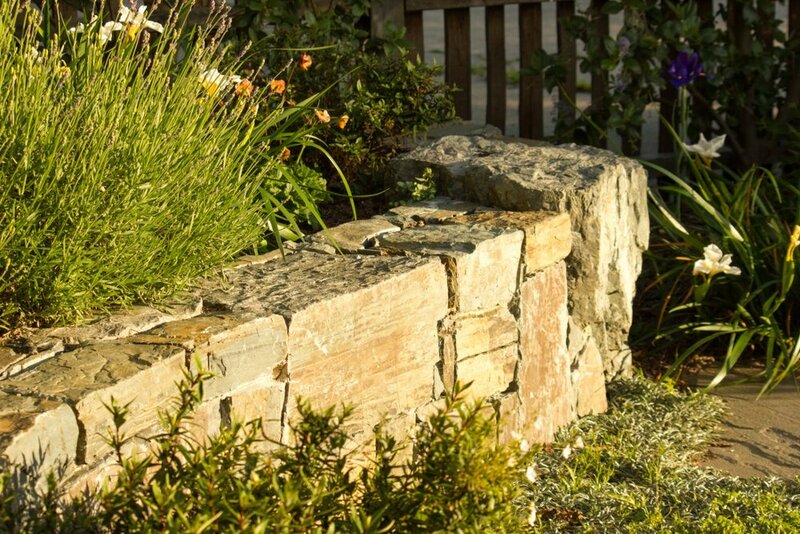 This “postage-stamp” front yard was reimagined as a thriving meadow. 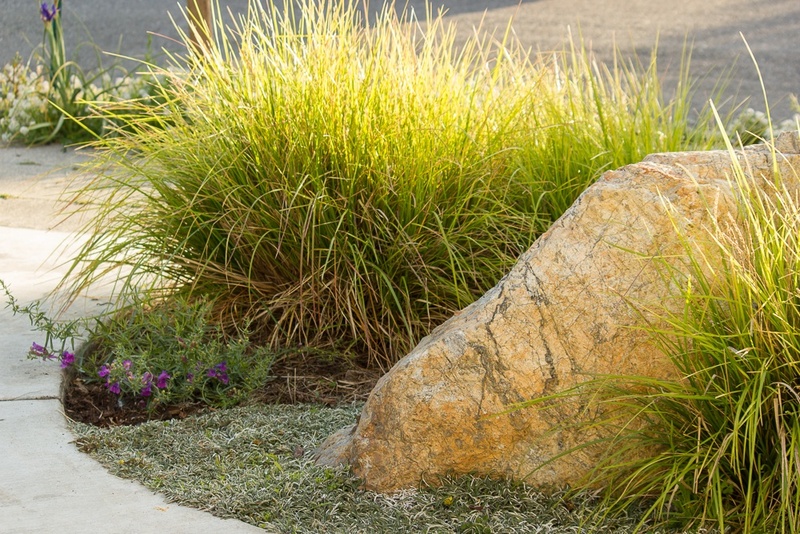 Boulders serve as both focal point and fun spot for kids to play, while underfoot a water-wise Dymondia lawn provides a tough, attractive solution for heavy foot traffic. The view of an adjacent apartment building’s parking lot is now a verdant backdrop of native Ceanothus. In back, the goal was to create a more inviting space for friends and family to relax. This was achieved by repurposing existing flagstone to fashion a more functional patio and replacing an awkward landing and set of stairs with a large deck. The deck aligns with the level of the house, bringing the outdoors in like never before.